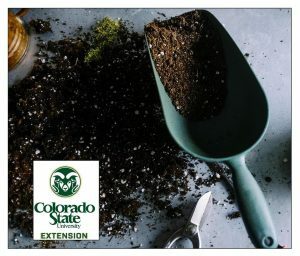 Colorado State University Extension offers Soil and Compost: Foundation of a Successful Garden. Learn how to effectively manage and amend soils in Colorado to successfully grow plants. Drainage, compaction, water infiltration and water retention are all soil properties that can be improved with proper management. Adding quality compost is a key to enhancing positive soil properties. Pre-registration required. Registration closes on August 24, 2018 at 12:00 pm. No refunds.